Chocolate + Gelato made fresh daily! Snow is a rare sight in Tofino... And if you're not up by Noon, you'll miss it. 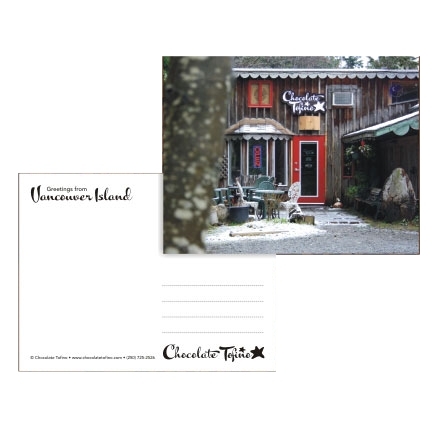 Chocolate Tofino postcards are a great way to preserve your Tofino memories or stay in touch! Printed on cardstock. Approximately 4 "x 5.5"